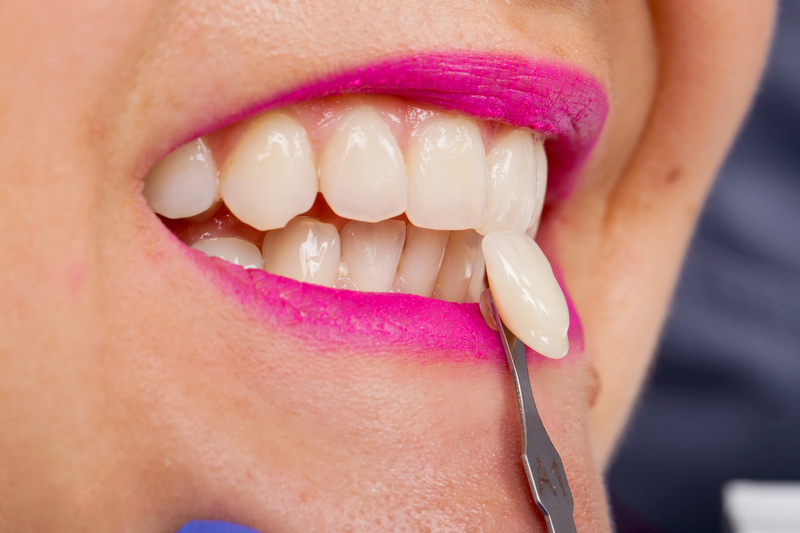 Quiz: How Do Veneers Completely Change A Smile's Appearance? Quiz: How Do Veneers Completely Change A Smile’s Appearance? Did you know that with a cosmetic restoration, our team can transform a smile in as little as two visits? For North Hollywood, CA, patients interested in smile improvement, we may suggest placing veneers, which completely change a smile’s appearance and address multiple cosmetic issues. True or False: They address issues with a tooth’s appearance. True or False: We can fix the appearance of uneven smiles. True or False: Routine care keeps them bright. True. In order to ensure a natural looking appearance and a proper fit, we need to custom-make each veneer. We begin by removing a thin layer of your enamel, making room for your new restoration. We use the impressions to create the restoration in a dental lab. We then place the completed veneer during the second visit. True. Once placed, they mask the front and sides of the teeth. As a result, they lengthen worn down teeth, reshape malformed or damaged teeth, and mask permanent teeth stains. They also help close any gaps between the teeth. True. If you have minor misalignment and want a straighter smile, then we may be able to place thin restorations to fix the appearance of your smile. We will first need to examine your smile and assess the severity of your misalignment. We then decide if veneers offer a proper orthodontic alternative. True. You should brush your teeth twice each day and floss every night. We also suggest cutting back on sugary foods and drinks and avoiding tobacco products. Routine cleanings should happen every six months. These actions help preserve the restorations and keep them bright. If you have any questions about our custom restorations, then contact your cosmetic dentist today. Does Your Smile Need Cosmetic Dentistry? We want to help you enjoy a stunning new smile with cosmetic dental procedures. For more information, schedule a consultation by calling Modern Smile in North Hollywood, CA, today at 818-763-9353. We also proudly serve patients who live in Burbank, Toluca Lake, and all surrounding communities.